You know it's officially summer with these three words - STEAM SUMMER SALE! The epic open-world sequel to Middle-earth: Shadow of Mordor will now be released in October. Who needs canon when you've got an orc army and a fire-breathing fell beast? First gameplay footage of Middle-Earth: Shadow of War reveals all-new Nemesis Fortresses in action. Save some money and check out these discount game deals of the day. These savings won't last long! Is a sea of game based off movies/shows these four games shine. While there were plenty of exciting announcements, these 9 entries were conspicuously missing from this year's E3 lineup! 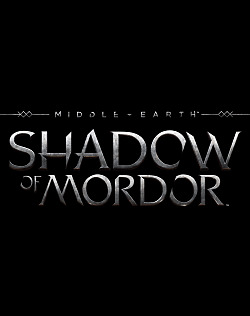 Middle Earth: Shadow of Mordor developer passes away from battle with cancer. The fourth in the series, Shadow of Mordor proved difficult to get good shots. It's a popular opinion among gamers that licensed games are terrible. Although that opinion might be mostly valid, there are some great, licensed titles which manage to defy this common belief. What are the highest-rated Xbox One games? Well we thought we'd count down that exact list, using Metacritic ratings for each game. The PS4 has been on the market for almost 2 years and we thought it high time we celebrate the best games on the console. Especially before the plethora of fall games come out and shake things up! PC Gamer giving away 200,000 Steam keys for Early Access game, Grimoire: Manastorm, until Monday, June 29th.